Mobility Stairclimbers and Posture Cushions. Powered stair climbers, Electric Powered Robot Mobility Stairclimber and Add-on Power Units for manual Wheelchairs, Vacuum Posture Cushions, Sensory Feedback and Stability, Single Operator Raizer® Lifting Device for Fallen Persons. AAT, The Powered Stair climber People are specialists in providing personalised disability access and social inclusion solutions to Occupational Therapists, Physiotherapists, end-users, and the general public. AAT also provide a wide range of Cargo Handling Devices for Delivery Professionals. See how our mobility products work together in infinite combinations. Mobility Stairclimbers - Full stairways access at home, school or work. Get them home from hospital. Full-length Treat-Eezi Overlay, with Vapour Permeable Cover. Ideal for Nursing Homes & Hospitals. Raizer® Lifting Chair - Solutions for the recovery of fallen persons. Vacuum Posture Cushions - For perfect posture & comfort in every seat. 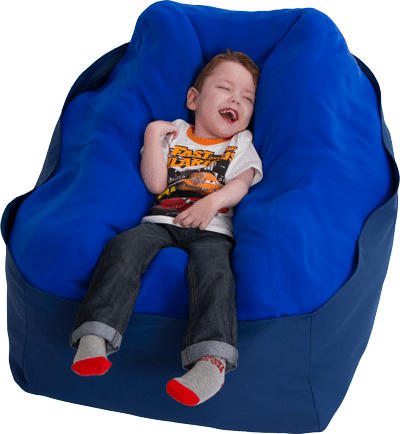 Adult Vacuum Posture Cushions - Adaptable to all conditions and seating. Paediatric - Stairways, Seating and Posture solutions for children. Pressure reduction & relief of sensitive areas. Body Thermo-regulation. Postural Sleep Systems - Precisely correct shaping & comfortable posture. Bathing disability positioning solutions - Perfect comfort & support. Mobility Solutions for heavier people & their carers (up to 300kg). Specialist crash-tested device to benefit patients & staff on stairways. Specialist equipment to assist passengers with reduced mobility. In service in virtually all UK airports. Powered cargo carrying stairclimbers for delivery professionals. Yes. We have an assessor in your area. Nationwide UK Mainland only.